March club launch scheduled! Watch for updates on the front page as further information becomes available. You don't need to be a member of NIRA or any other organization to fly with us. All you need is an interest in rocketry and a desire to have fun! If you don't have your own launch pad or controller club members are usually happy to share theirs with you. Just ask for help when you get to the launch. See the Range Rules for details on how we set up our launches. Blank flight cards are available at the launch. Public launches are usually the third Sunday of the month, April through November, weather permitting. The Forest Preserve does not allow us to drive any vehicles on the grass. Carry or cart your stuff from there to the launch area, please. The DFP rules also prohibit flying drones or RC airplanes. If you don't have your own launch pad or controller, you may use ours. The club has a launch system with 10 pads for everyone to use. Also, club members are usually happy to share their 3/16" and 1/4" launch rod pads with you. Regular club launches are held at East Branch Forest Preserve in Glendale Heights. Bring your own launcher and launch controller if you have them. However, members usually have spare launch capacity and we can accomodate a small number of folks who don't have their own equipment. (Note that Scout groups and other special event participants need to arrange for launch equipment ahead of time.) Club launches are open to the general public at 2:00 PM. The range closes at 5:00 PM. Contact one of our representatives for the latest on launch times and alternate locations. 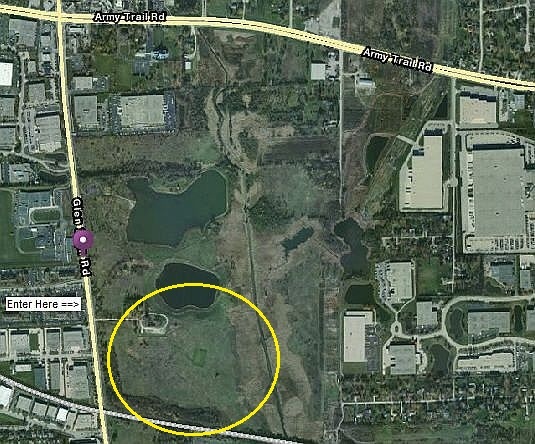 The entrance to the launch area at East Branch is on the east side of Glen Ellyn Road about halfway between Fullerton and Army Trail Road. Look for the large brown barn set well back from the road on the east side. There will be a sign and a NIRA member will be manning the gate up until 3:30 PM or so, after which the gate will be locked. You can still gain access by walking in to the paddock area and asking a NIRA member to let you in. At our club launches we normally have an FAA notification in effect permitting rockets up to 1500 grams (3.3 pounds) and less than 4.4 ounces of propellent (most G motors) to be flown up to 3000 feet A.G.L. (above ground level). However, field size and weather conditions may require you to limit flights to lower altitudes. As always, "fly the field." This means using sense to limit your rocket's flight profile to the prevailing conditions of wind, cloud, and field size. NIRA members have the experience to help you out if you can't decide what engine, parachute, or streamer to use. NAR safety codes and motor certifications are strictly enforced at all NIRA launches. All flights are at the discretion of the RSO. See the range rules for more information. NIRA hosts occasional contests at our launches. Some of these are just for fun, such as the Baby Bertha Drag Race we held last June, or the monthly Best of the Launch Theme we hold in accordance to the launch themes. We also hold official NAR Section Meets, where NAR members can accumulate points towards the national record. See our contests page for more information about upcoming contests and records of our recent contests. NIRA occasionally conducts high power rocket launches. In the past these were usually at a sod farm in far northern or central Illinois, or at the Bong Recreation Area in south-central Wisconsin. Although the rockets are bigger, badder and noisier, all size rockets are welcome at our launches. NIRA usually supplies launch pads and controllers for high power rockets, but you should still bring your own model rocket launch pads and controllers. If you have specific needs for a special rocket or flight, please contact us prior to the launch. At our high power launches we have an FAA waiver in place. Our waivers are usually in the neighborhood of 10,000 feet MSL (above mean sea level), but may be different depending on the launch site and other nearby activities at the time of the launch. Altitude limits are posted on our web site as soon as we have the information. If you are planning a flight that will be near the maximum wavered altitude, please let us know prior to the launch weekend so that we may plan appropriately. Many NIRA members are certified for Level 1 and Level 2 rocketry with either the NAR or TRA. If you would like to make a certification flight at one of our high power launches you'll find lots of willing help and advice. Feel free to contact the launch director (listed on our Contacts page). The farther in advance you let us know that you'd like to certify the better. You can also take the NAR Level 2 written exam with one of our certified members. Remember, you must pass the exam before you can make a certification flight, so plan ahead.